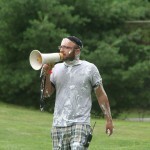 If Camp Simcha is a fairy tale for sick children, then Ari Dembitzer is it’s Pied Piper. All summer long, Ari is trailed by a never-ending line of camper, for whom he is a fountain of love, acceptance and affection, and staff, for whom he is a role model. Ari’s first summer at camp was 1997, and he was immediately smitten. He continued to spend summers at Camp Simcha and Camp Simcha Special while studying for his rabbinical degree and his masters in public administration, which he earned at New York University’s Wagner School of Public Affairs. He became boys head counselor in 2001. In addition to his year-round tasks as head counselor, Ari coordinates Chai Lifeline’s annual Disney World trip, sponsored by the Ohr Meir Foundation, together with girls head counselor Rivky Schwartz. He also works together with Chai Lifeline’s many volunteer counselors and Big Brothers and Sisters to organize camp reunions and weekend retreats for campers. As the girls’ head counselor for Camp Simcha, Rivky Schwartz inspires untold numbers of campers and counselors, changing lives with her kindness, intelligence, compassion, grace, and endless love. 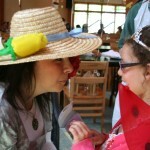 She was introduced to Camp Simcha in 1995 by a teacher who urged her to spend a summer as a Camp Simcha counselor. She returned, first as a counselor, then as a division head and assistant head counselor. 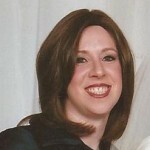 She became the girls’ head counselor in 2000. In addition to her responsibilities as head counselor, Rivky coordinates the annual trip to Disney World, sponsored by the Ohr Meir Foundation, and undertakes numerous projects throughout the year. Rivky is a Michigan native. She grew up in the suburbs of Detroit and earned her masters in education there before heading to the Big Apple and Camp Simcha/Camp Simcha Special. Camp Simcha Special campers and their families have a special friend in Rivkah Reichmann. As associate director, she works closely with each camper’s family to ascertain children’s needs at camp, and works tirelessly to assure they are met from the moment they leave for camp until they are back in their parents’ arms. Her expertise and input helped create Camp Simcha Special, and she’s been an important presence at the camp since its inception. Prior to turning her attention to Camp Simcha Special, she was a social worker at Chai Lifeline, Camp Simcha Special’s parent organization and at St. Vincent’s Medical Center in New York. Ms. Reichmann is also a former Camp Simcha counselor and was an active Chai Lifeline volunteer before joining the professional staff. She received her MSW from New York University Ehrenkranz School of Social Work and completed a post-masters fellowship program at New York University. Read more about our Medical Team here.